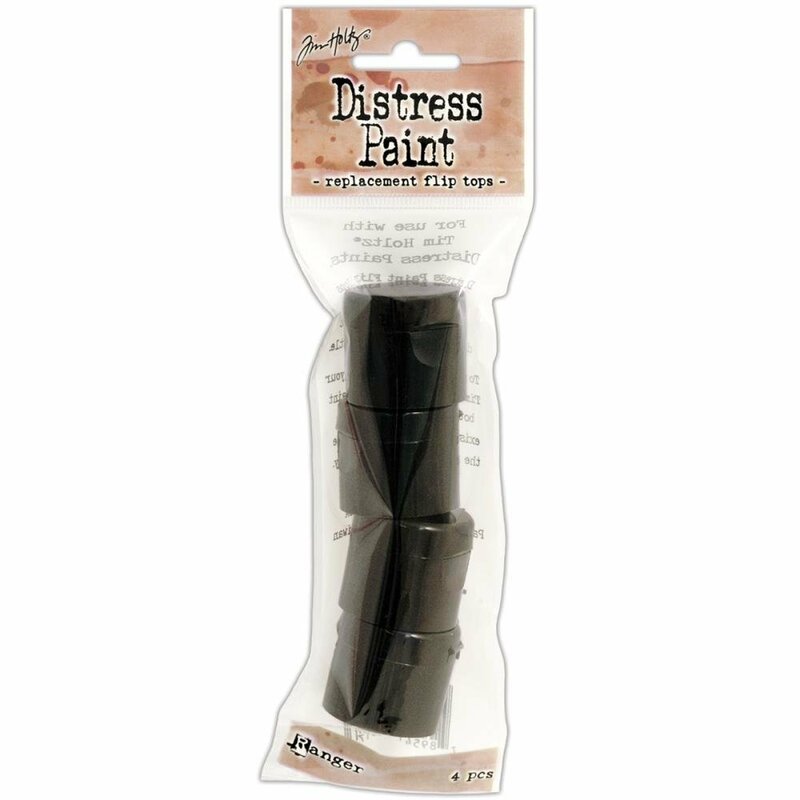 Ranger-Tim Holtz Distress Paint Replacement Flip Tops. These paint flip tops allow for convenient dispensing of paint directly from the bottle. This 7x2-1/4x1 inch package contains four replacement flip tops.